AMTECH offers THREE WAY Ball valves & Four way ball valves in L port, T port, & LL port design .3 way valves are very special for flow control the line fluid in to L shape (90 degree),LL shape for bye diverting the flow lines of media, T for additional line flow controls at 90 degree. 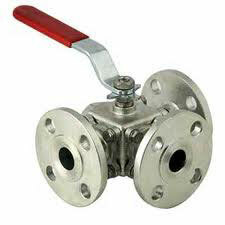 We are using the Internals of valves Stainless Steel –304 & 316 Grades as per the applications of valves. Our valves used in the highly corrosive applications and toxic media.